Of interest to pharmaceutical, nutritional, and biomedical researchers, as well as individuals and companies involved with alternative therapies and and herbal products, this database is one of the world's leading repositories of ethnobotanical data, evolving out of the extensive compilations by the former Chief of USDA's Economic Botany Laboratory in the Agricultural Research Service in Beltsville, Maryland, in particular his popular Handbook of phytochemical constituents of GRAS herbs and other economic plants (CRC Press, Boca Raton, FL, 1992). In addition to Duke's own publications, the database documents phytochemical information and quantitative data collected over many years through research results presented at meetings and symposia, and findings from the published scientific literature. References to the supporting scientific publications are provided for each specific result. Also included are links to nutritional databases, plants and cancer treatments and other plant-related databases. This is the online interface to the database. 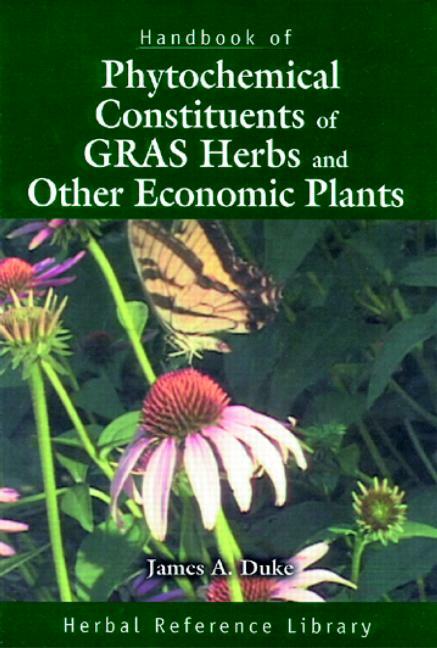 Research on medicinal plants, their phytochemical components, and biological activity. Not to be used for self-diagnosis or self-medication.